We are pleased to announce that St. Damien Pediatric Hospital now has a residency program. Haiti counts approximately 300 pediatricians for the whole country where almost half of the 10 million people are children and adolescents. Saint Damien has the capacity to help the country increase the number of pediatricians in order to decrease morbidity and mortality of children. Saint Damien teamed up with Hospital Bernard Mevs and Université Notre Dame D’Haiti to create this new residency program. Nine pediatric residents have recently joined the St. Damien team and we are very excited to expand their minds and offer experiences for them to become the best pediatric physicians possible! Our aim of this program is to develop innovative and intelligent pediatric leaders in Haiti through education, mentorship and experience within our facilities. Originally 68 people began the application process to join our program. However, after exams and extensive interview process, only nine made it to the end. September 16th was the official opening ceremonies, followed by a month-long orientation of lectures, classes and full preparation for their three-year program. 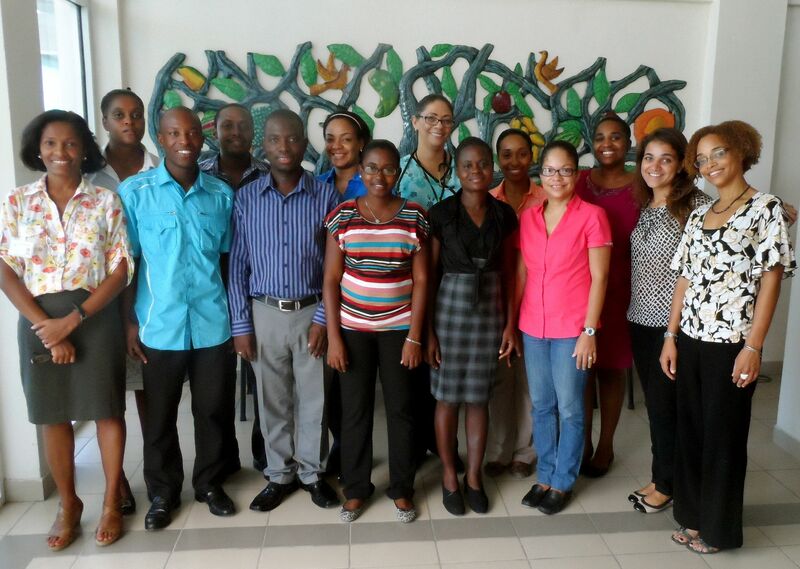 Dr. Jacqueline Gautier, Dr. Genevieve Arty, Dr. Toni Eyssallene, the Program Director, and the Program Coordinator, Gabriel Denis greeted the nine new residents at opening ceremonies and wished them good luck for the new journey they are about to embark on. They began their rotations on October 14th and they will be paired with physicians with whom they will shadow for their first year. The program was created with the inspiration and ideas of other residency programs from around the world. A rich program, offering theoretical classes, conferences, journal clubs, morbidity and mortality conferences as well as Grand Rounds, has been thoughtfully prepared. They will get the chance to work with various people in different departments so they get an overall foundation of pediatric care. With each year, the residents will gain more responsibilities and by the end of the program they will have their own patients and caseload. We wish the best for the residents as they begin their new journey in pediatrics. We hope to be able to continue this program for the years to come so we will need to count on all the support we can get to achieve this noble goal that will help the country as well as improve the level of care provided within the hospital.